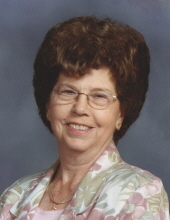 Irene A. Heppler, long time Ponca City resident, died Tuesday, February 5, 2019 in Ponca City. She was 91. A celebration of her life will be held at 10 am Thursday, February 14, 2019 at Trout Funeral Home Chapel in Ponca City. It will be officiated by Mike Dvorak. Burial will follow in the Odd Fellows Cemetery. Irene Agnes Heppler was born on October 24, 1927, on a farm in Perry Oklahoma to Frank and Bessie (Kosnar) Dvorak, where she obtained her education. Irene married George W. Heppler in Perry, in the Baptist Church. They moved to Ponca City in 1946, where Irene started a career with Dempewolf moving company, where she retired from in 1985. Irene enjoyed playing golf and bridge with her friends. She also loved spending time with her family, especially her grandchildren. She is survived by her granddaughter Celline Heppler of Ponca City, Ok; her son Stephen G. Heppler of the home; grandson Jordon Heppler and wife Kellie and their two daughters Nevaeh and Aaliyah of Ponca City, OK.
She was proceeded in death by her parents; husband George W. Heppler, they were married 57 years. Her daughter Carla Heppler; her brothers Frank and Charlie Dvorak and sister Adellia Freeman. Casket bearers will be Scott Dvorak, Justin Dvorak, Kendall Dvorak, Tony Heppler, and Jordan Heppler. To send flowers or a remembrance gift to the family of Irene Heppler, please visit our Tribute Store. "Email Address" would like to share the life celebration of Irene Heppler. Click on the "link" to go to share a favorite memory or leave a condolence message for the family.